Equiderma: Save big on BOGO quart of Equiderma Neem & Aloe Natural Horse Spray. 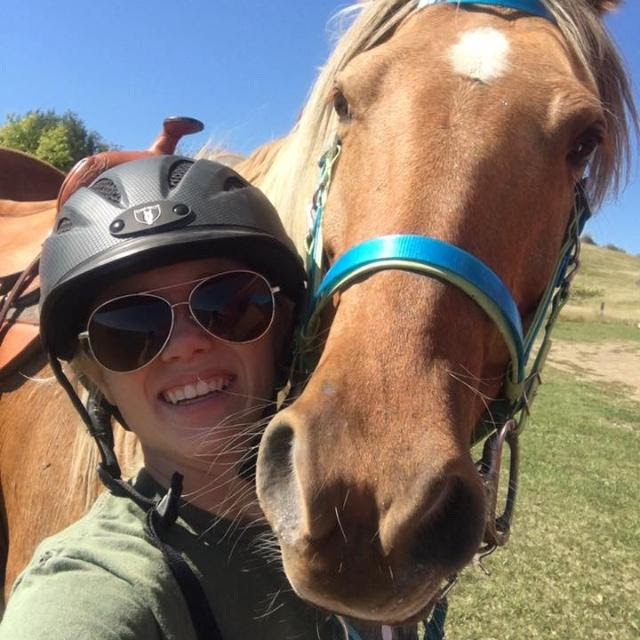 It is with great happiness of heart that I announce that last month we donated $2,000 to Proud Spirit Horse Sanctuary from our National Help a Horse Day internet sales. We could not have done this without your wonderful generosity! We’ve decided that each month we will contribute 20% to a different horse rescue, so stay tuned for the next one. 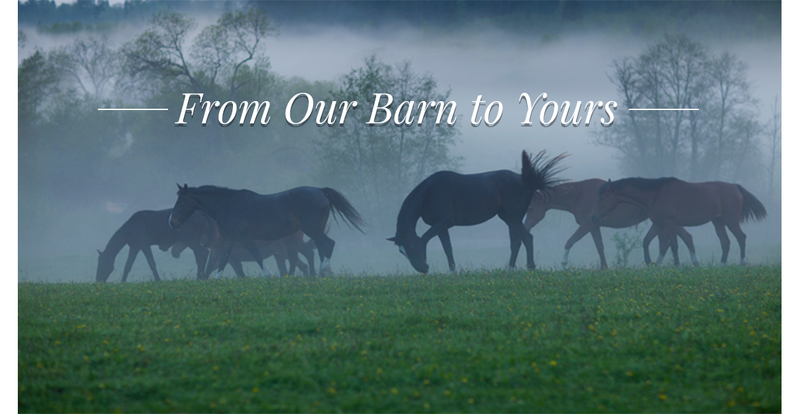 I just want to again say thank you all for allowing Equiderma to be a part of your horses’ and other animals’ care. It’s truly an honour. Please, keep spreading the word so we can continue to help more animals around the world. 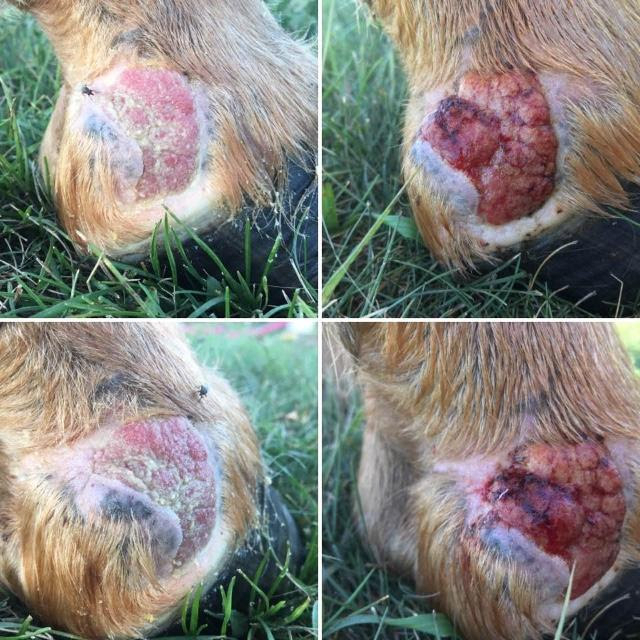 Read below about Chantel Williams and her mare Hunny’s experience with a bad wound and how she found amazing success treating the injury with our Equiderma Calendula and Neem Wound Ointment. If you don’t have it in your medicines cabinet yet – trust me, you should. Thanks for sharing with us, Chantel! I hope Hunny’s story will help those of you who are facing a similar issue. “In the summer of 2016, my mare Hunny the Missouri Fox Trotter had an unusual knack for injuring herself. Every time we were getting somewhere in training she did something new to herself! However, this wire cut took the cake. My girl developed a nasty habit of pawing at straight wire fences. We have since invested in other fencing which has solved the problem. 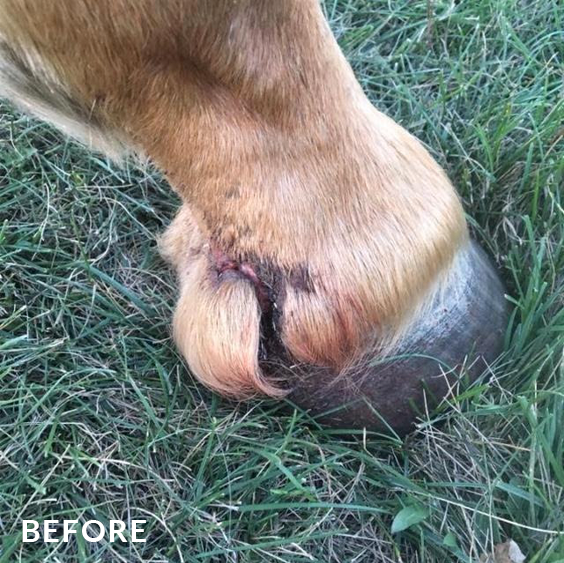 For this particular cut she caught her fetlock on the fence and pulled, tearing the wire from the bottom of her coronet band up through her heel bulb onto her fetlock. She caught her fetlock on the fence and tore it from the bottom up. The skin flap is completely unattached. 12 hours after the Equiderma ointment was on the skin flap was completely reattached! My farrier was scheduled to be out a short time later and he thought she may be lame for the rest of her life from this injury. At this point in the summer I had an entire tack store of ointments and sprays in my first aid kit so I thought, “No big deal.” I started doing typical wound care on this, such as soaking every 24 hours in Epsom salts to keep it clean, applying my ointments that were professed 99% effective, and wrapping the wound. Well after a week and a half of NO progress I was not only worried but very frustrated. I was listening the “Horses in the Morning” on the Horse Radio network and they were talking about Equiderma. Well, I figured I had nothing to lose, so might as well check it out. I went to the website and purchased the Calendula and Neem Wound Ointment. I was so discouraged at this point that I wasn’t expecting much. While I waited for the ointment to arrive I continued my wound regimen. Well the ointment arrived in a few short days (I was expecting a week! ), and as soon as I got it I drove to the stable to try it out. I had been documenting this wound care on my Facebook account, desperate for someone to offer some other ointment to use, anything to make this wound heal. I created a four-photo collage of the Equiderma ointment (included in the testimony) of the wound just after cleaning, the ointment, and the ointment applied. I put the bandage back on and played the waiting game. the barn, soaked her hoof, applied the ointment, and re-wrapped the wound. 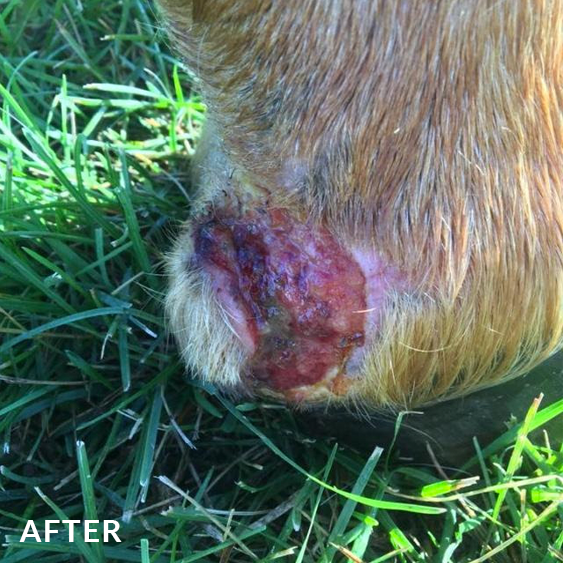 lameness and pain disappeared, and you can see the skin growing back over the wound. Now, generally I only remove a bandage every 24 hours, but the next day I was SO excited to see if there was progress that I just had to remove the bandage and check the wound. Her skin flap was COMPLETELY reattached! I was speechless, I literally had no words. My eyes teared up as I checked over the wound. Her wound was obviously smaller. I took a photo and posted it to my Facebook account. Everyone was shocked at how well this healed in such short a time! I continued use of the ointment and wrapping. After a day we started hand walking because Hunny’s pain was gone. After a week the wound was down to an inch and a half in diameter. After two weeks it was the size of a dime. Now, her scar is nearly indiscernible. Every time my farrier comes out he comments on how amazing her fetlock looks. Every one of my friends on Facebook that watched our progress using this ointment comments when they see us and asks to see her scar. No one can believe how well it healed. Are you dealing with a tough wound? Be ready for whatever comes your way. 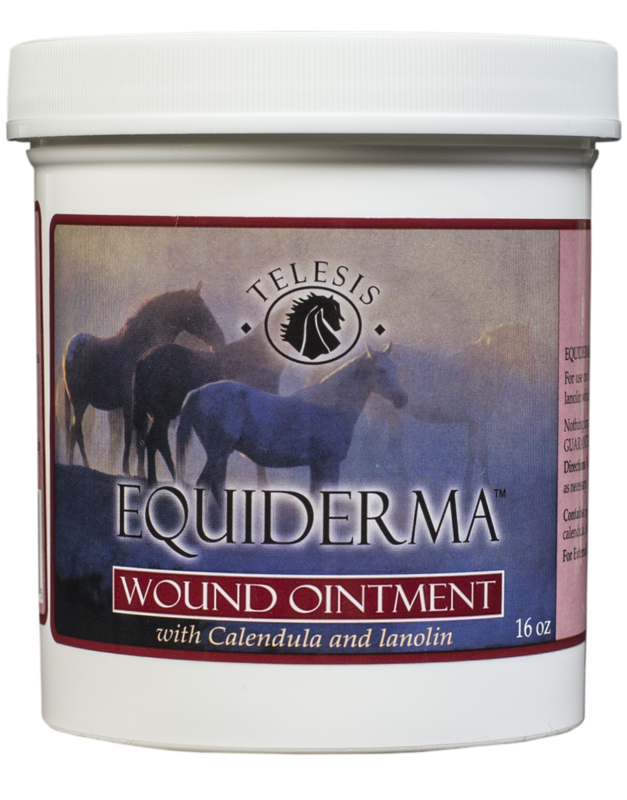 Equiderma Calendula Wound Ointment is the best solution to help you overcome the wounds that occur in the everyday lives of your horses.